If Big Data sounds new to you this concept has actually been around for quite some time. Luis Carbonell, from IBM, even claims that IBM's researchers started to talk about this topic back in 1957. 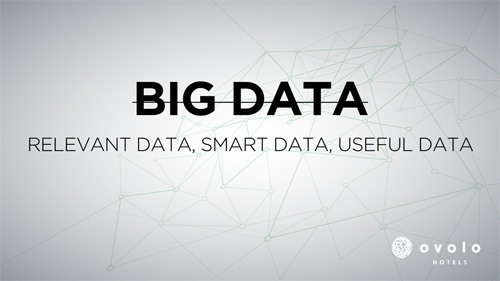 The concept of Big Data is actually quite simple: collect - analyze - utilize. How do I collect sufficient data from my customers, analyze the data and drive conclusions to improve my business. 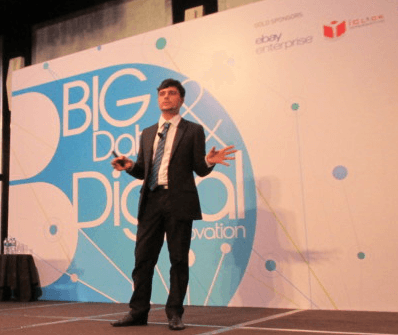 As I was invited at the Big Data and Digital Innovation conference this week to represent Ovolo Hotels I prepared a presentation of how SMEs can enter the Big Data game. Ovolo Hotels is a unique family-owned company in the Hospitality industry that owns several boutique hotels in Hong Kong and Australia. Ovolo started as a Serviced Apartments company back in 2002. In 2002, Hong Kong received 16.5 million tourists. In 2011, this number jumped to 42 millions. The company decided then to switch from a Serviced Apartment Business to a Hotel Business. In 2013, Hong Kong reached 54 million tourists and 70 millions are expected to visit the city before the end of 2014. This switch enabled Ovolo Hotels to access a much larger pool of data and enter the Big Data challenge. I have been a customer of HSBC for over 7 years. 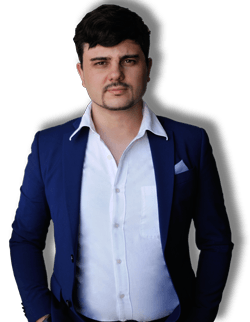 During this period I have met my account manager several times, I have opened and closed accounts, applied for investment plans and insurances, filled in countless forms and surveys. With such data collected, HSBC knows everything about me from my passport number to the amount of money I have on my account. More even: with my credit card information HSBC could tell you which restaurant I appreciate, which shop I like to visit or which E-commerce I love browsing. Every now and then, HSBC will send me a customized letter to offer me some new product or promotion. Those letters I receive are always in Chinese! 7 years studying me and HSBC isn't able to identify me as an English speaker! 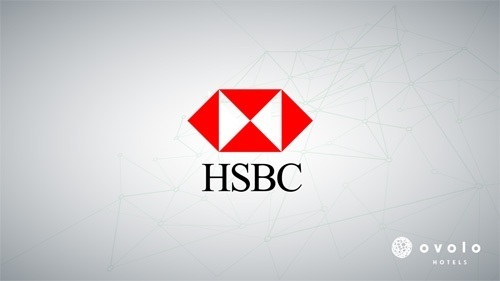 When I see a huge corporate such as HSBC isn't able to analyze and utilize Big Data properly, I wonder how a SME could. Why should you focus on handling Big Data if you haven't been able to master relevant data yet? Unlike HSBC, try and make proper usage of the data you already owns. Nowadays data collection has become much easier with the development of technology. All businesses focus on data collection and accumulation. Ovolo Hotels, on the other hand, has decided to take a different approach. Instead of thinking about potential future value that might one day bring such data the company has been using a customer perspective. Indeed, data collection often requires asking questions to your customers (through check-in, surveys, forms, online questionnaires, etc.). Why bombarding your customers with endless questions when you don't even know what to do with the answers? Ovolo Hotels takes a different path: only questions with a purpose are used. If the answer to a question cannot impact the business directly, the question shall not be asked. Information collected through the check-in or booking process will be used to better identify the demographics of each hotel and therefore cater the service to the segment of customers that experiences each hotel. Information about website performance is essential. Especially from the hospitality industry where online booking is now a standard. If you wish to make sure your customers will book with you through YOUR website, you must constantly improve the web experience you are offering. Ovolo Hotels believes in the importance of Social Dialogue. 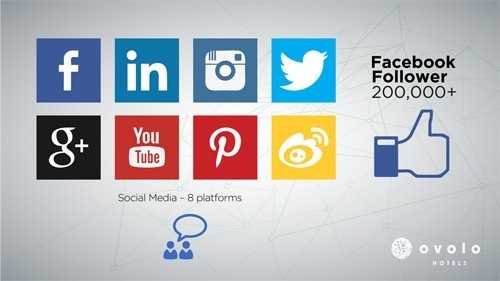 The company is active on 8 different Social Media platforms. They have over 200,000 followers on Facebook which is much larger than any other local hotel page in Hong Kong. They have been working at creating a real bond with their guests through Social Media engagement. With this strategy, they have been able to receive useful feedback from visitors that could help them developing new campaigns. Ovolo Hotels looks very closely at everything people say on the web. Be it Social Media, TripAdvisor reviews, blog posts, surveys or any other website, collecting feedback and categorizing it is essential. Only that way questions, comments and complaints that are recurring can be identified and treated efficiently. Whenever guests come to Ovolo Hotels their preferences are recorded. Allergies, preferred beverage, reason for travel, etc. are carefully recorded to make sure the following stay will be unique and personalized. Looking at market trends is essential to see what others are doing and what guests seem to be looking for. Such data is collected, analyzed and compared to web comments and in-hotel feedback to build strong strategies for future development. Based on all collected data Ovolo Hotels made great changes that can easily be identified. Collecting feedback from guests and general web comments Ovolo Hotels has quickly identified one main concern for travellers: having strict check in / check out times is a real problem. Consequently, Ovolo Hotels offers free and flexible check in / check out time to all its guests whenever possible. All industry surveys show for years that one of the most important perks for travellers is to have free breakfast. This is why Ovolo Hotels has established this concept in all its properties. 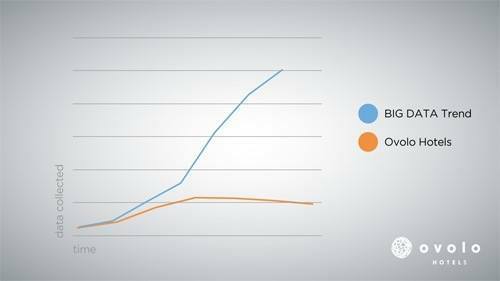 But looking to go one steps further, the company has tried to collect further data to analyze what more could be done to content guests. Consequently, all guests now have free snacks and drinks 24h a day. Talking with Business travellers and collecting the feedback coming from all hotels the company has identified one main issue those travellers often encounter. Visiting a city you do not know can be difficult: you might not know anyone or anywhere to go at night. To answer this problem Ovolo Hotels has created the Free Social Happy Hour where Ovolo Hotels guests can enjoy free drinks while meeting new people. Once again, collecting feedback and monitoring the web can bring some very valuable insights to what your customers are really looking for. With this strategy Ovolo Hotels has discovered a real need for free laundry and now offers it to all guests. Compiling industry trends to analyze patterns can help identifying brands that have a special importance for your customers and understand how they interact with these. That is how this boutique hotel chain found the idea of offering its guests with a solution to instantly synchronize their favorite playlists, movies or apps with their hotel TV and make their room feel like home. After recording countless stories from people complaining about expensive minibars the boutique hotel chain decided to do things differently. In all Ovolo Hotels the minibar is free and renewed each day. 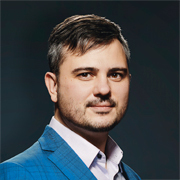 Ovolo Hotels' CEO+Founder claims Wi-Fi is a human right. Following what his guts told him and what Big Data's figures confirmed, he decided to make a bold move. 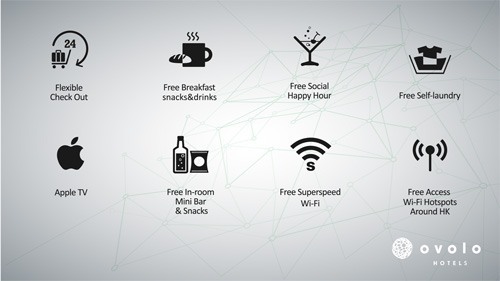 Consequently, Ovolo Hotels offers now free Superspeed Wi-Fi in all its hotels. To go one step further the company even offers free Wi-Fi all over Hong Kong for its guests! Discover Ovolo Hotels on www.ovolo.com. This case study shows one thing: Big Data is available for SMEs. What matters is to focus exclusively on the data you can use. Instead of spending all your energy and money collecting data you can't even use, focus on what you need. 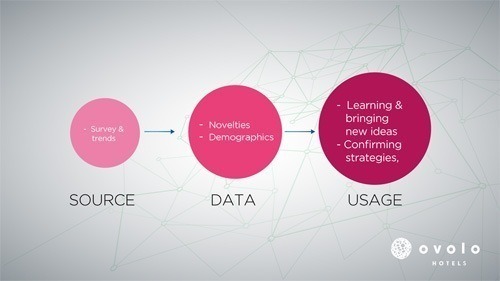 Step by step you will move toward more and more data and slowly reach the "big" data. Remember the example of HSBC: you might be a huge international company with tons of data and not be able to use any of it efficiently. Don't be ashamed to have limited data: all that matters is how you use it. 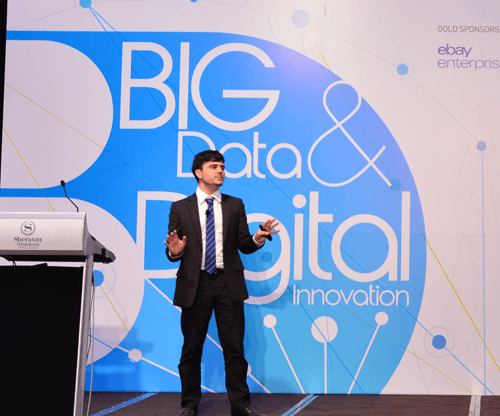 You can discover other guest speakers and their input on the Big Data and Digital Innovation conference's page. To go further with Big Data I invite you to read my article "Practical uses for CRM: how to use the data collected" or to continue with the great book "Big Data: A Revolution that will change how we live, work and think".